When you are vulnerable, authentic, and generous, your readers trust you to guide them through the transformation that you teach. In your biography, you want to show that part of yourself to your readers. 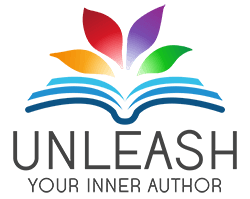 Decide what you’d like your readers to love about you. Is it that you have survived some ordeal? 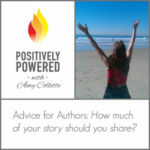 That you share amazing stories or insight? Became a nicer/better/smarter leader? That you prevailed against all odds? Created some amazing product or system? That you serve people in some unique way? Now we’re getting to the fun part! Match your unique story with exactly what your ideal client needs to hear from you. There are a lot of different ways you can write your bio. If you have multiple degrees or lots of experience – decide whether you need to list it all, or if you can generalize. What is important for your reader? For example, if you are writing a book about psychology, all your education is relevant and lends to your credibility and expertise. If you are writing a spiritual book and all your education is in engineering, it may be more relevant to your reader to know about your spiritual path and life experience. As you develop your own biography, research the bios of people you admire and customize the techniques that you like for your own. “Vicki Draper is a highly regarded modern-day animal healer and author who supports family animals with health, harmony and ease, addressing wellness during every stage of your animal’s life. She is featured in multiple books and magazines, and is the creator of healing products sold around the country and around the world. A natural-born animal communicator, Vicki’s qualifications as a healer for both people and animals include being a licensed massage practitioner, a certified acupressurist and Reiki Master/Teacher, and training in craniosacral therapy. I like this bio, but what would make it better is one line about why I should take his advice on technology. What makes him an expert? Make sure you include enough of your personality, along with what makes you special, or gives you expertise or authority. When your bio is starting to sound good to you, share it with your family, friends, readers, your editor – people you respect who can give you constructive advice. They tend to see some awesomeness of yours that you have failed to include. And they can tell you (in a nice way) if you’ve gone on too long or veered off track. Congratulations! After all that, you should now have a strong bio that introduces you to your ideal reader and motivates them to invest in you and your book!